Over the past 10 years, FTC is busy and has successfully implemented long and short-term training intervention with the following corporates, government departments and communities organisations. FTC has been contracted by Chevron Angola, one of the world’s largest integrated energy companies, to implement training programmes for their executive (middle, senior and administrative) staff. Our highly qualified facilitators conduct progra mmes in Business Administration, Leadership, Management, Human Capital Development (Training-of-Trainers), Financial Management and Strategic Planning, both in South Africa and in Luanda and Cabinda in Angola. FTC has previously been supported the placing of students in job shadow programmes by the Department of Economic Development and Tourism. Now that the field-testing has been completed, Noel Daniels and Jackie Esau is currently providing lecturing, mentoring, assessment and moderation services to 75 of the 250 students currently enrolled on this programme at UCT. FTC currently has a year-long contract with NAPTOSA (National Professional Teachers’ Organisation of South Africa to deliver a programme on Confident Communication to educational staff of their members and non-members who are second language English speakers. The programme consist of 4 Courses, viz: Speaking with Assurance, Definitive Writing, Reading for Enrichment and Integrating your Learning is being delivered by a range of FTC Associates on Saturday mornings. The overwhelming response and continued commitment of the participants illustrates th e great need for this innovative programme. In addition to this we are rolling out a series of seminars on Leadership and Management within the School Context, Administrative and Secretarial Skills and Conflict Management. These seminars take place once a week as part of the participating schools’ staff development initiatives. 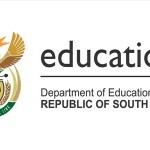 FTC has been contracted by the National School of Government to develop learning materials for implementation of the Compulsory Induction Programme (CIP), levels 1 -3 for public servants in South Africa. 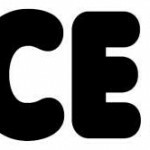 The Project scope includes the reviewing, re-designing and re-development of existing learning materials, as well of the incorporation of relevant and appropriate new materials. Our process takes into account the need for learning and training materials that embody the relevant legislative frameworks related to the public service, as well as the incorporation of the intrinsic values and building blocks of the South African Constitution. We fully comprehend the necessity to align the designing and writing of meaningful materials that can be successfully applied in an induction programme that responds to the needs and capacities of new entrants at salary levels 1-3. 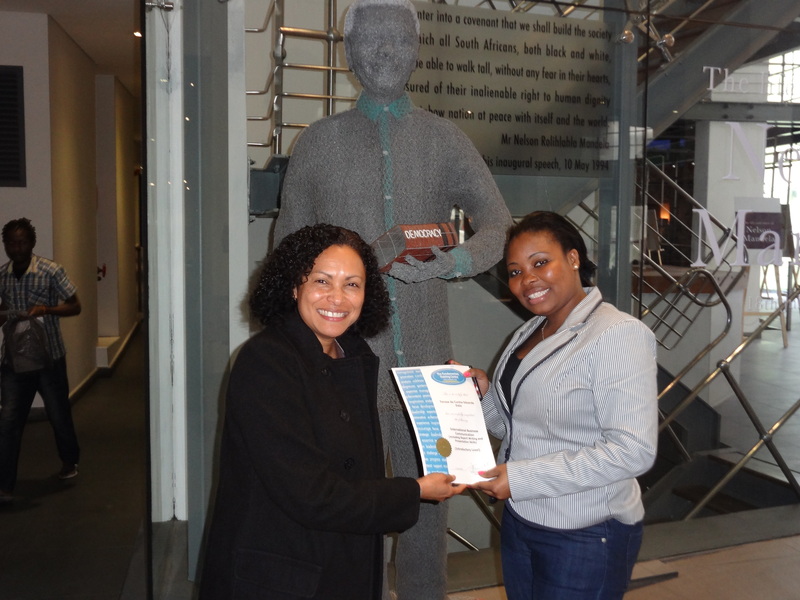 FTC has been contracted as the sole South African provider to deliver The International Youth Foundation’s (IYF) Passport to Success Programme (PTS) nationally. Based in Baltimore in the USA, IYF builds and maintains a worldwide community of businesses, governments, and civil society organizations committed to empowering youth to be healthy, productive, and engaged citizens. Its PTS curriculum and teacher support resources leads in international best practices related to life skills programming. PTS is structured to support teachers to model key life skills and create supportive environments for young people’s changed behaviours, while also building young people’s knowledge, skills and confidence to use their new skills in school, their personal lives, and in the workplace. In 2015, IYF trained a cache of FTC Associates to become PTS Master Trainers and these in turn trained lectures of TVET Colleges in Cape Town and Bloemfontein to become PTS Trainers. 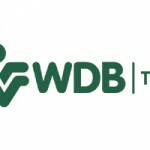 Women’s Development Businesses (WDB) has contracted FTC to conduct our HETC: Development Practice Qualification for their Development Facilitators in a year-long accredited programme. These dedicated individuals work with rural communities, especially women and families in Mpumalanga, Kwazulu-Natal and Limpopo Provinces. By capacitating the Development Facilitators, the qualification’s outcomes are in line with WDB’s objective of ensuring that rural women are given all the necessary tools to free themselves from poverty. The projects that the Development Facilitators implement will improve the lives of people through various development programmes and the creation of sustainable business and job opportunities for their communities. 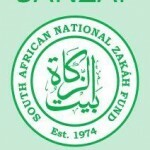 FTC has been contracted by the South African National Zakah Fund (SANZAF), to conduct Business Communication and Basic IT Skills Courses. This skills programme is being run over a 3 month period to 11 Molana’s and Imam’s who volunteer at SANZAF. The Basic IT Skills Programme is conducted in partnership with a leading ICT Training Provider, with FTC ensuring the quality of the delivery. Since 2007 FTC was responsible for project management and delivery of a leadership programme to 200 school managers who graduated with an Advance Certificate in School Leadership in December 2009 on behalf of the University of Cape Town (UCT). This programme was spear-headed by the Minister of Education and funded by the national Department of Education and the Western Cape Education Department. FTC provided resources, such as project management and co-ordination, materials development, lecturing, assessment, mentoring services and administrative and logistical support for this important initiative. External evaluations completed point to UCT’s programme, as run by FTC, as ‘the best’ in South Africa. FTC is currently implementing its Integrated Life Management course to middle and senior-management individuals, administrators and technicians of Schlumberger, a leading international oilfields service provider. These delegates are existing staff and new recruits from countries across Africa, including Angola, Gabon, Chad and the DRC. The Integrated Life Management course is a dynamic and highly interactive 2-day programme consisting of the following modules: Goal Setting and Planning; Time Management; Conflict Management and Organisational Cultures. 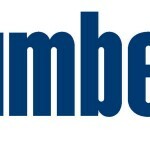 Independent research has shown that new recruits who participate in the ILM course fair better, not only in Schlumberger’s Orientation programme but in their respective jobs as well. For the second time the ETDP SETA was contracted FTC to conduct the HETC: Development Practice learnership for 44 learners across the Cape Metropole area. For this yearlong learnership, FTC provided materials development, facilitation, assessment and mentoring and administrative services. The learners were selected from various NGO’s, inter alia CANSA, Future Factory, Youth Unplugged, etc. from a range of socio-economic backgrounds. FTC completed the first learnership in 2009 to 23 learners. Thus far we have graduated 43 community development practitioners who are making worthwhile impacts in our communities. 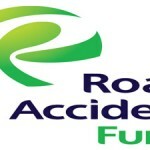 FTC implemented a national Supervisory Development Programme to supervisory staff of the Road Accident Fund. This encompassed the design and development of 5 modules and the facilitation of contact sessions that took place simultaneously in Cape Town, Johannesburg, Pretoria, East London and Durban. This programme was to provide necessary competencies and improve practices to the Insurance sector, Public service and the Leadership pipeline. The subjects of the modules include: Leading for Business Performance in the Public Sector; Customer Orientation; Building your Personal Brand; Lead and Develop Talent and Leading Change and Transformation. The programme started in October 2010 and ran until July 2011. FTC worked with The Bryan Slingers Partnership to deliver empowerment programmes to school leaders between June 2008 and June 2009, called the Take Beyond Programme. The project involved 40 principals of schools along the Klipfontein Corridor from Khayelitsha to Mowbray, Cape Town. Our interventions were rated as ‘highly successful’, with extensive praise coming from the school principals and the sponsors. 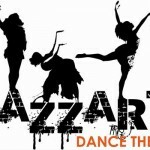 Jazzart Dance Theatre, one of South Africa’s premier dance companies, in partnership with FTC, implemented an Academic Support Programme to secure employability for their dancers into the future. In this visionary programme FTC was responsible for the academic achievements of the company and trainee dancers, providing lecturing, tutoring, materials, training, administrative, logistic and assessment support services, including career-path counselling to this end. The 8 of the students were enrolled with UNISA, on an Adult Basic Education and Training Practitioners’ Higher Diploma. A further 6 were enrolled in FTC’s own Higher Education and Training Certificate: Development Practices qualification and were also exposed to a selection of our short courses. We are pleased to report that we have had a 100% pass rate on the HETC: Community Development qualification. FTC’s delivery of the Paraffin Safety Association of Southern Africa’s (PASASA) Community Champions training programme and mentoring programme with their regional managers across South Africa broke new ground. The application of our blended methodology of face-to-face, telephonic and electronic support via our own Online Learning Environment was considered the most effective approach ever applied in PASASA’s history. The Wholesale and Retail SETA, is an agent of transformation by providing employment equity and broad-based BEE through skills development. The Fundamentals Training Centre was chosen as one of 6 providers to provide training to 300 learners in the Western Cape, as part of the Ikusasa Project. This national project aimed at training 1 800 Grade 12 throughout South Africa to enable them to access the labour market. The 60 learners trained by FTC were successfully placed at various retail outlets. FTC developed training materials entitled the Isibindi Pathways to Possibilities for Youth Development Facilitators for National Association of Child Care Workers (NACCW), sponsored by UNICEF. Furthermore, a Training of Trainers session was conducted for Community Development Practitioners who would be conducting the training in the field. Women’s Development Businesses Trust (WBD) once again contracted FTC to conduct a Presentation Skills, Why Women and Poverty? and Enterprise Development Services as part of their Siyakhula Programme for 16 Development Assistants. They were be trained to ensure that businesses that are assisted by micro-lending are feasible, profitable and ultimately sustainable. The Women’s Development Businesses Trust (WBD) contracted FTC to conduct a Community Development refresher course for 20 Auxiliary workers engaged in communities in Mfolozi, Kwazulu-Natal. FTC is rolled out the Moderator Course to 15 GET and FET Advisors working for the WCED’s Metro South Education District (MSED). FTC conducted a Speak with Assurance course for 10 intermediate phase teachers from Metro South Education District (MSED). The sessions were held on a Saturday mornings over a period of 6 weeks. FTC rolled out the Balanced Language Programme Workshop over 3 sessions to 45 educators from Metro South Education District (MSED). The Balanced Language Approach encourages teachers to integrate instruction with authentic reading and writing and experiences so that learners are equipped to use relevant and appropriate literacy strategies and skills. A Leadership and Management in the ISO Context Course for Travel with Flair, a leading travel solutions company. The participants explored how internally different suppliers need to understand the expectations, responsibilities and accountability of all other departments and to work towards a relationship built on agreed Service Level Agreements (SLAs). A further aspect was the integration of the ISO series of principles and processes into its various functions. Th is content of the 9 week, half-day session per week course, was conducted in the context of the travel industry. An Organisational Developmental 2 day programme for False Bay College. The objective of the programme was to gain buy-in of the strategic plan from the broad management team and to kick-start the implementation thereof. FTC’s Dynamic Leaders Training Course was held, over a 2 day period, for leaders of 12 participating organisations of REMGRO’s SOS (Strengthen Our Society) initiative based in Stellenbosch. A 2 day Event Management for Sport course to 14 sports club committee members and cricket players in Oudsthoorn for the Department of Cultural Affairs and Sport. 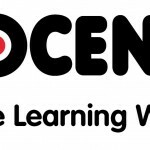 An accredited Plan and Facilitate an Adult learning Event Skills Programme for the Sign Language Education and Development to 16 hearing impaired learners who will be teaching hearing learners how to use sign language. This programme was aligned to the Unit Standards: Plan an adult learning event and Facilitate an adult learning event. A Personal Management Course for delegates on the SMILES project of the Institute for Mathematics and Science Teaching of the University of Stellenbosch. The topics covered included change management, conflict management; time and stress management. Team building components were also interposed into the programme in the forms of dance movement and Djembe drumming sessions. 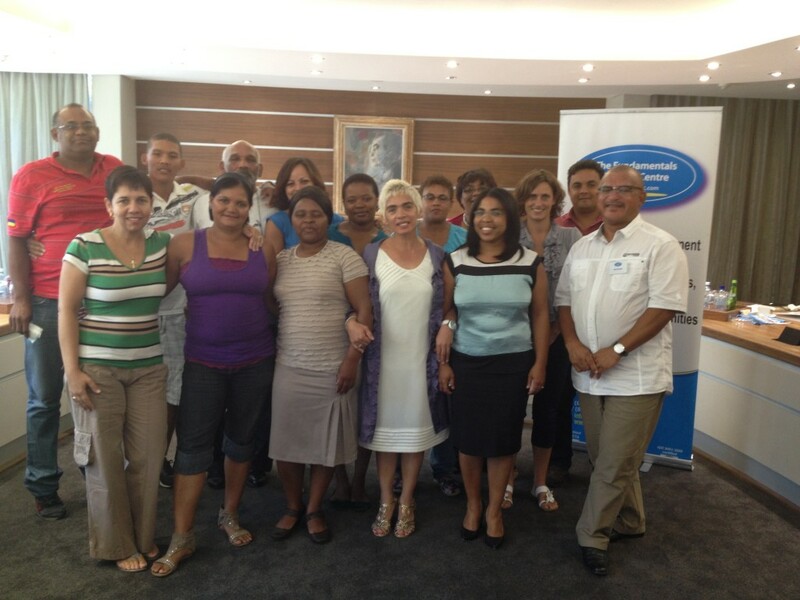 An accredited Entrepreneurship and Business Plans Skills Programme aligned to the Unit Standards: Demonstrate an understanding of entrepreneurship and develop entrepreneurial qualities and Demonstrate an understanding of a general business plan and adapt it to a selected business idea for Steenberg Community Learning Centre for 22 learners located in the Steenberg area and surrounds. 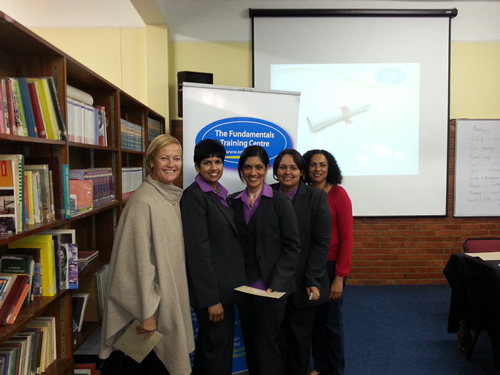 A Dynamic Leaders Training Course for the management and supervisory staff of JF Jooste Hospital. FTC conducted an accredited Event Management Training Programme for 22 data capturers for the Department of Cultural Affairs and Sports. The programme is aligned to the Unit Standard: Plan Advocacy Campaign and Workshop in Development Practice. On completion of this programme, the learners will be awarded with a Certificate of Competence for this unit standard. An accredited Training-of-Trainer course for the Employment Equity Co-ordinator of Metropolitan Life. 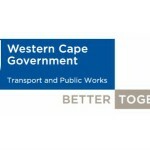 A Life Skills Training Course for 30 data captures of the Department of Public Works and Transport. Units in the programme included Personal Self-Management, Financial Management, Time Management HIV/Aids Awareness and Team-building. 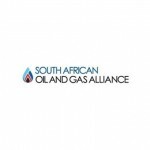 A Business Communication Techniques course for participants entering the job market, sponsored by the South African Oil and Gas Alliance. A Professional Development Workshop for the staff of the Robben Island Museum. This included Conflict Management, Team Building and Goal Setting. The highly interactive sessions integrated metaphors from arts and culture (dancing, drumming and painting) to inject creativity and excitement into the informative theoretical and practical sessions. A workshop to SMME’s on Support for Levy Paying Organisations for the ETDP SETA. Conducted a Decision-making and Problem Solving Course to the supervisory and management team of Sechaba Medical Solutions. Delivered a Time and Stress Management and an Email Writing Course to the 12 supervisors and staff of Sechaba Medical Solutions. Delivered an intensive Time Management Workshop with 18managers, teachers and support staff of Eurocentres.